On this page we share not only great joy, but acknowledge that no day should be taken for granted. Our best friends, who we owe many thanks to for making us as zany as we are, live half a world away in Australia. Barb and Warwick Laird, plus Pam and myself vacation together as often as possible (never enough). Whether in Australia, hopefully soon here in the Pacific Northwest, or in our little island hideaway on Maui, we treasure our time together. During off season, Warwick and I train hard for the Olympic shopping competition that occurs when Pam and Barb get together. Our last trip to Maui, I think I out-shopped both of them though, so I am looking forward to some down time with Warwick to discuss red sunburns, pink shirts and blue drinks. 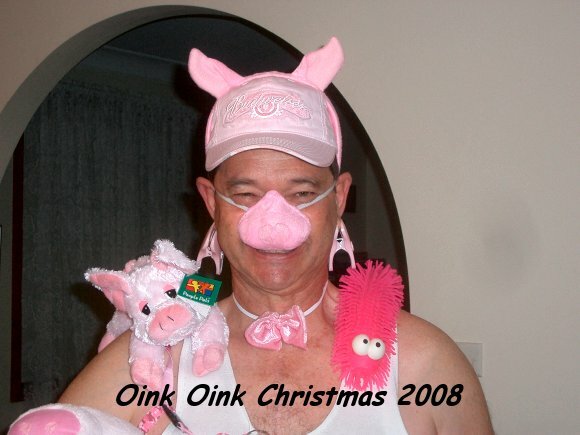 Barb and Warwick, if you’re checking out this page, I want to affectionately say Oink. Please enjoy the photos of Barb, Warwick, Pam and myself in Lahaina, Maui 2008.